Whoops! I guess I’m late! Talk about waiting until the last minute. March was Maple Sugaring month when maple syrup makers begin to celebrate the end of the “harvest.” I miss maple season in New England. Somewhere between February and March, the steam starts to rise from gallons of boiling maple sap through the tops of sugar houses nestled amongst the maple trees. Years ago, I even learned how to tap a maple tree and the joy of hearing the magical “ping” sound made by the first drops of sap into the metal bucket. Kansas isn’t a maple syrup-producing state, but I’ve told everyone I know all about the yummy virtues of Mother Nature’s golden gift. When sap comes out of the tree it looks and tastes like slightly sweet water. 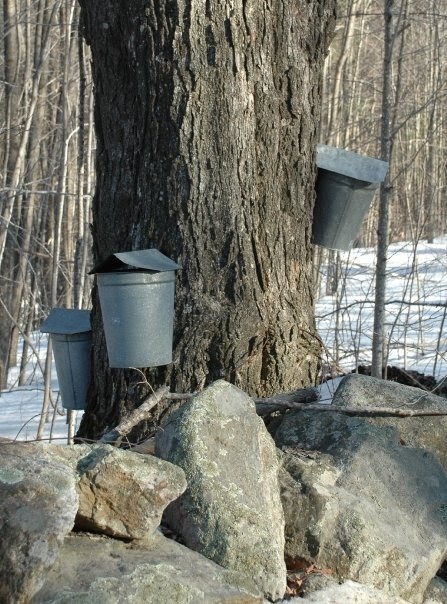 It takes 40 gallons of sap to make one gallon of syrup. 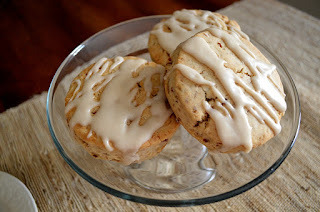 I featured this Maple Pecan Scone recipe in a recent newspaper article. These treats are tender, nutty, and full of maple goodness. I enjoy them both for breakfast and with my afternoon cup of tea. They taste good at room temperature but even better warmed in the microwave for a few seconds. Preheat the oven to 350 degrees F and line a baking sheet with parchment paper. In a large bowl, whisk together the flour, pecans, baking powder, salt, and cinnamon. Add the chilled butter and, using a pastry cutter or two knives, cut in the butter pieces until the mixture resembles coarse sand. In a large measuring cup, whisk together the maple syrup and cream. Slowly pour the liquid ingredients into the flour mixture, using a fork to swiftly mix until the dough starts to stick together. It will be crumbly. Dump the mixture onto a lightly floured surface and, using your hands, bring it together into a ball, kneading a few times as necessary. Roll the dough out to a 1/2 to 3/4 inch thickness. Using a 3-inch round cutter, cut the scones and place them on the baking sheet about an inch apart. The scones will not rise much in the oven while baking. Place the baking sheet in the oven and bake for 15 to 20 minutes, or until the tops of the scones begin to turn lightly brown. Remove the scones from the oven and place on a cooling rack. While the scones bake, whisk together the ingredients for the maple glaze in a medium bowl. 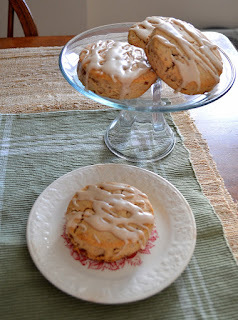 Once the scones are just warm or at room temperature, drizzle the tops with the glaze. (Placing a cookie sheet lined with foil or parchment under the cooling rack will make clean-up much easier.) You may not use all of the glaze. 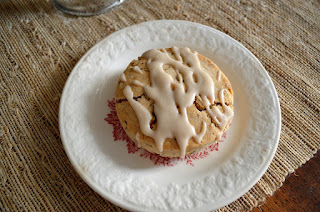 Serve the scones warm or at room temperature. Your scones look lovely Linda. 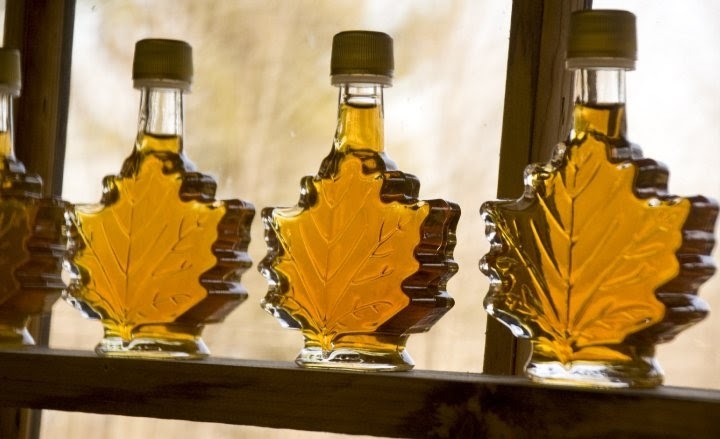 As soon as I get my hands on some fresh Maple Syrup, I'll be baking them up!